Once again I would like to say happy new year to all my friends. Well, it's Camera Critters again the time for us to share photos. I have no latest photos I just scan old photos in my files and here's mine. It was last summer when I took this picture. Once again, thanks to all your comments and visit. 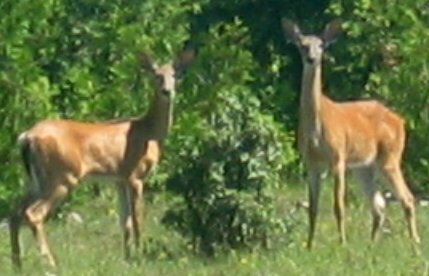 they do have really long necks.. beautiful..
we took a drive a few days ago and there were dear out in the field everywhere.. I got a few shots of them think I'll share some next week for Camera Critters. I don't think I've ever seen a deer with such long necks. Great photo! Thanks for sharing! Beautiful deer and so curious !! I LOVE deer! They are my second favorite animal (after dogs, of course).